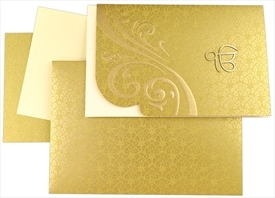 The front of card is an overlay pasted on a base docket style card with silk screen printed and embossed floral with laser cut “Ik Onkar” symbol as main motif. 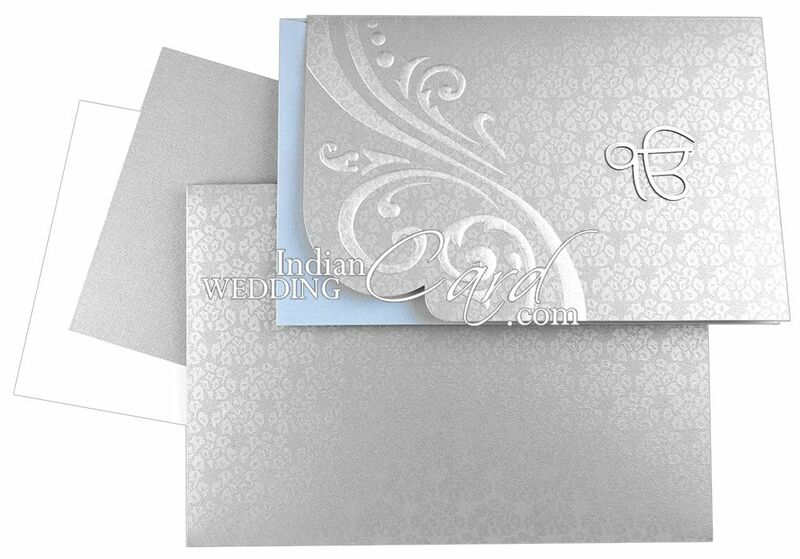 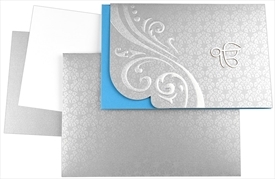 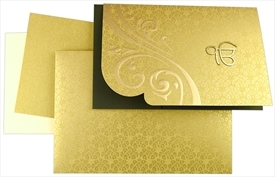 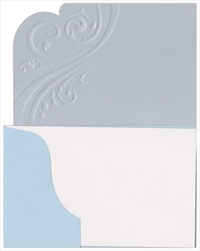 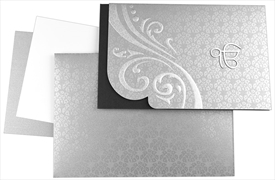 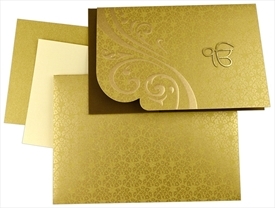 Also, there is running pattern printed in light shimmer color as watermark all over the front of card and envelope. 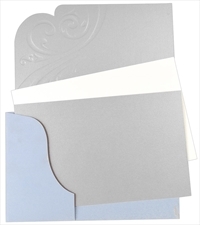 Inserts are Plain. 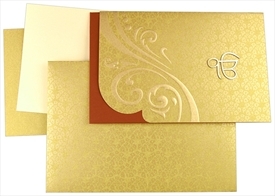 A graceful wedding invitation!